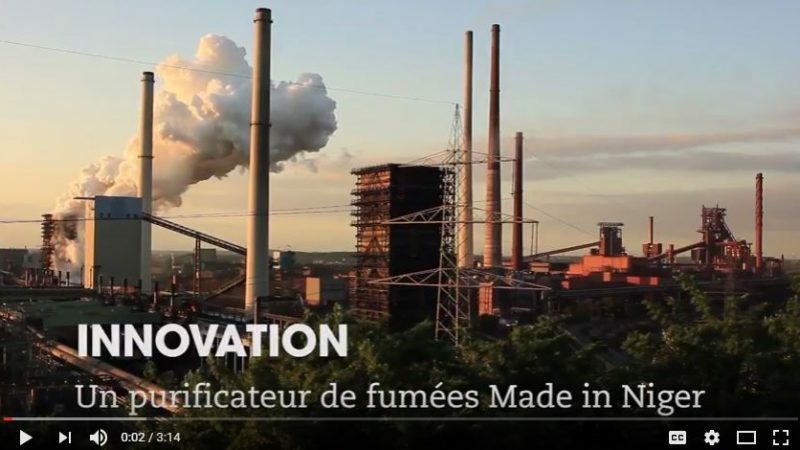 Screen capture of documentary by SciDev Afrique on the anti-pollution invention from Niger. You might have heard of Boyan Slat, a young Dutch inventor and entrepreneur who created a system using the circulating ocean currents to clean the ocean of trash and other pollutants. His project, The Ocean Cleanup, received a lot of attention after Slat gave a TEDx Talk in 2012 about it, attracting more than $31.5 million in donations from sponsors including Salesforce.com and philanthropist Peter Thiel. The next young inventor seeking to help the environment just might come from Niger. Meet Abdou Barmini, 22, who invented an anti-pollution device that cleans the air from industrial fumes. 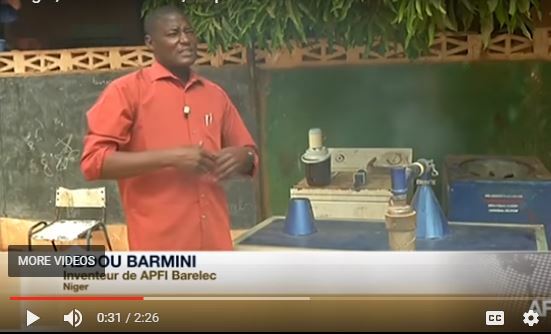 Barmini says the device, called the APFI Barelec, will clean 80% of the air impurities coming from factory chimneys. If his claim is correct, his invention could prove to be particularly beneficial for low-income countries. The prototype is to be installed at the base of the chimney of factories expelling the fumes. The T-shaped device captures the CO2-containing heavy substances from the fumes via an affinity-based chemical assay that binds CO2 particles. The purified fumes are expelled via the other branch of the T-shaped structure. The heavy particles found in the fumes are composed of more than carbon dioxide; there are others particles that his invention will have to fix, in order to achieve a purification rate closer to 100%. Barmini says he worked tirelessly for two years, funding his research with his own income to achieve the prototype. His motivation for developing it was to find a solution to his growing concerns about air quality and climate change in his country of Niger. The World Health Organization reports that ambient (outdoor) air pollution in both cities and rural areas was estimated to cause 3 million premature deaths worldwide in 2012 and that 88% of those premature deaths occurred in low- and middle-income countries. By reducing air pollution levels, countries can reduce the burden of disease from stroke, heart disease, lung cancer, and both chronic and acute respiratory diseases. Niger is a landlocked country in Western Africa that is consistently one of the lowest-ranked in the United Nations‘ Human Development Index. Furthermore, the West Africa region has been drastically affected by climate change in the recent years. 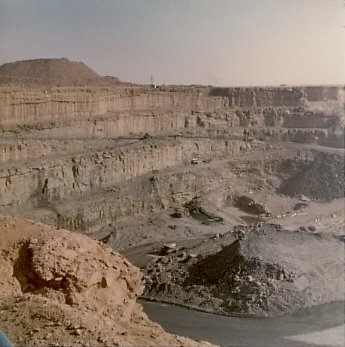 Niger’s economy relies heavily on mining of which uranium and coal are the largest exports. Therefore, air quality is an urgent and immediate issue for the nation that is already suffering from an extremely hot and dry climate, severe drought and recurrent famine. When he presented the state-of-the-art in the air purifier industry, Mr. Abdou Barmini stressed that 1) the existing ambient (or outdoor) purifiers are usually electronic devices that are used to clean the ambient air surrounding a factory. They do this by reducing or eliminating completely the number of harmful particles in the air in the vicinity of the emitting source (but they do not target the source of the emission itself). […] 2) Domestic (or indoor) purifiers are often performed via a filter. This technique efficiently cleans the air coming out of the machine. But this technique has also its shortcomings. It can cause blockage of the filter’s mesh and cannot be efficiently used for industrial chimneys. Barmini’s APFI Barelec does not use a filter. The prototype was built with local materials that Barmini recycled, adapted and assembled to his needs. Barmini hopes that his invention will be noticed by climate change organizations that will help him finalize his project.